CMA Certification For Vampire Facial, Vampire Facelift from Dr. Charles Runels. After this training attendees will be eligible for membership CMA network -License to use the Vampire® branding*. Converting the Vampire Facelift into a collagen implant therapy for advanced lasting results. ​Hands on training on procedures and opportunity to receive treatments as models. *Attendees of the hands on training courses will receive a 1 month membership to the CMA (Cellular Medicine Association) for $1. After your 1 month trial, there will be a $97 per month fee for each of the 3 modules: Vampire, O-Shot and P-Shot. You can cancel at any time, but if you want to continue using the trademark, you will need to maintain the membership. This allows you to use the trademarks: Vampire Facial®, Vampire Facelift®, Vampire Breast Lift®, O-Shot®, P-Shot® for 1 month. Hands on Course attendees will have the opportunity to work with live models, However, hands on attendees are encouraged to receive a treatment as well (included in course). Most attendees choose to experience the treatment(s) themselves during the course so that they can better relate to their patients. Materials are provided for paid attendees to receive treatments at no additional cost during the course to help train fellow attendees. Please advise us in advance if you may be interested in receiving a treatment. Past attendees of the hands on course may come and audit future courses at no additional fee. 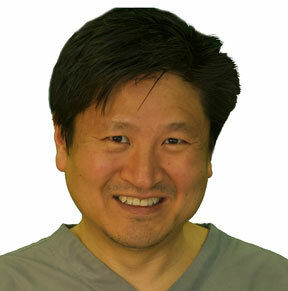 Aesthetic Preceptorship Available with Dr. Song.